Date posted: June 14, 2016 by: JasonDarkX2 Category: Gaming Tech 2 comments. Putting it into perspective, I think Microsoft just hit home this year at E32016, with their announcement/reveal of the new Xbox one S console, controller, Project Scorpio console and a slew of new games to finish big putting on a spectacular press conference. Well, there are a lot of games and new features coming, but here’s a highlight of what’s to come from Microsoft this year. Without any doubts the biggest announcement from Microsoft is the new redesign hardware and accessories. 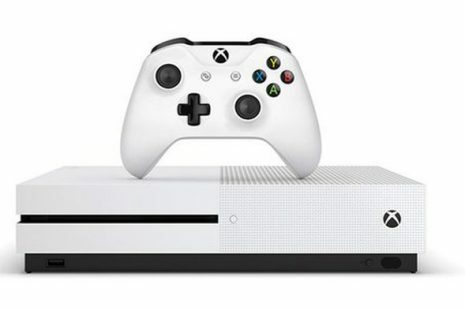 Namely being the New Xbox One S console, which is 40% smaller than original Xbox One featuring no power brick and rocket white finish. 4k resolution, HDR for video available this August in retailers starting at $299 for the 500Gb model, $349 for 1TB model, and 399 for 2TB. A special edition of the console will be reveal near its release in early August. All old xbox one accessories and games will be compatible with the new Xbox One S.
The console is not the only this getting an upgrade. The new Xbox One Controller will now have Bluetooth support, textured grips available in white. But if white isn’t your gig, you could check the new Xbox design lab to custom design your new Xbox one controller and preorder it for 79.99. But wait, there’s Project Scorpio a new console that will be coming November 2017. Unlike the Xbox One S which is coming in August, Project Scorpio is a completely new gaming console that support true 4K gaming and VR with 8-core CPU, six teraflop GPU. Scorpio will an Xbox One on steroids or High end gaming PC in simple matters. Prepared to burn a hole in wallet cause this new console will be on the pricey side of things. Xbox Play anywhere becomes a reality and a slew of new Xbox one features are coming. this summer will be xbox background music, and preferred language setting. Coming this fall are Xbox clubs, looking for groups, the arena features. Xbox clubs allow you to set up or join communities of gamers alike on xbox live. Looking for groups allows you to find and meet new players with a common goal or play styles on Xbox live. Arena allows players to participate in tournaments and competitive play. Microsoft plans to bridge PC gaming to console, with the new Xbox Play anywhere feature. Which allow gamers to play anywhere, whether it be on Windows 10 PC, or Xbox One. Buying a game on Xbox One will grant you access to a Windows 10 version too with no additional cost. It doesn’t stop there any game with Xbox Play will allow cross play co-op, horde, multiplayer modes. Halo Wars 2 Open beta Starts: June 13, 2016; Ends: June 20, 2016. Halo Wars: definitive edition announced. General ram coming to killer instinct. Minecraft will support Cross play between windows 10, android, ios. Dedicated servers, Realms, Texture packs, and Add-ons coming to Minecraft. Forza horizon 3 cross play support and 4 player instant co-op. Limbo is free on Xbox One starting today. Gwent Witcher card game annouced and reveal. September 2016 closed beta registration now available at https://www.playgwent.com/. tekken tag tournament 2 free on xbox one via backwards compatibility. Dead Rising 4 xbox one and windows 10 exclusive. Scalebound has large scale co-op play. Sea of thieves co-op demo looks amazing. State of decay 2 announced and revealed. it’s a great time to be an xbox gamer, there’s something for everyone from Microsoft this year, whether you’re on Xbox one or windows 10 PC. Their goal of uniting gamers and a push for innovation is truly inspiring and motivating this time around. applauds to Microsoft for another great year at E3.